Everyone in this office is always very professional and prompt. I love the appointment reminders and newsletters. They are very customer focused! I am always seen at my appointment time and onto work in a timely manner. I love being able to depend on people that also respect my time. The staff is always friendly and courteous. This office definitely reduces the stress of seeing a dentist. Thank you! This office is always nice and clean. I never have to wait and the staff are the friendliest I have ever met. I am treated like I am the only patient. Excellent patient service in all phases of dentistry. Extremely friendly and professional. Dr Wynne is a highly-skilled Dentist who demonstrates exceptional communication. Experience is as good as it gets. Gibsonton dentists Drs. Richard and Jennifer Kernagis proudly offer cosmetic dentistry, dental implants, sedation dentistry and general and family dentistry to patients in the Tampa area in any of their 3 offices. 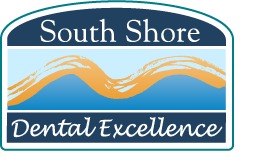 South Shore Dental Excellence serves Apollo Beach, Gibsonton, Riverview, Sun City Center and Ruskin. Kernagis Dental Excellence serves Tampa, Carrollwood, West Chase, Lake Magdalene, Northdale, and Carrollwood Village. Dental Excellence at FishHawk serves FishHawk, Lithia, Valrico, Riverview and Brandon, Florida.